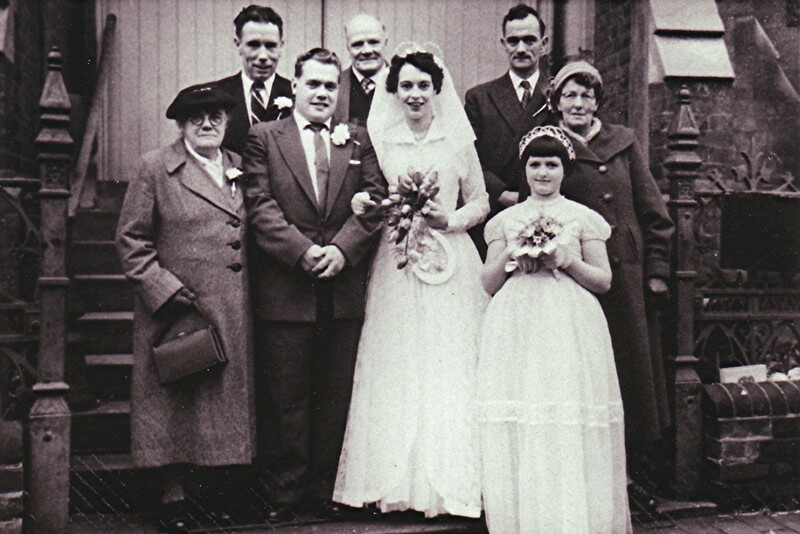 The marriage of Bill Mears to Margaret Newbery, Redbourn Feb. 1957. Left to right: Daisy Mears, Arthur Goddard, groom, Ernest Mears, bride, Sharon Draper (front), Bernard Draper, Bess Newbery. This wedding took place in St. Albans. I am the bridesmaid my name should read Sharman Draper.